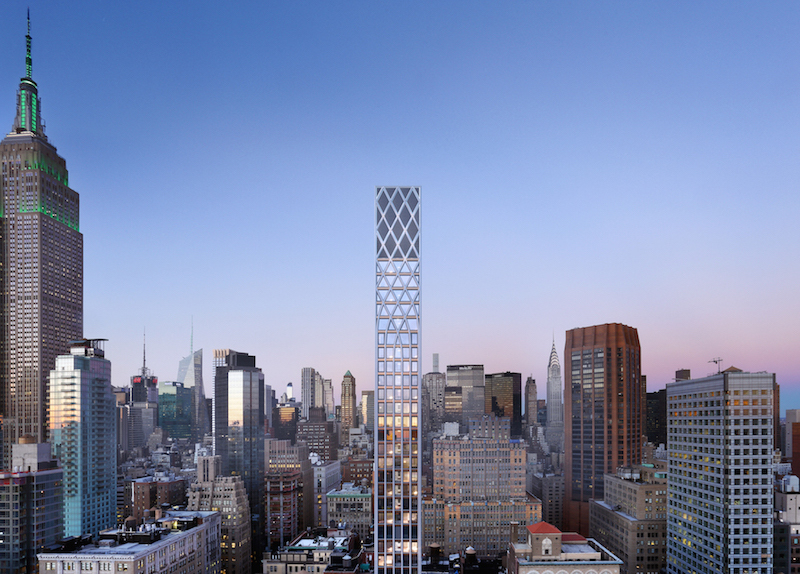 Just north of NoMad, one of New York’s best-kept secrets, a new tower is hitting the market with some star-studded talent to back it up. 30E31, from the Ekstein Development Group and Pinnacle Group today launched sales for the forty story residential tower. Acclaimed architect Morris Adjmi designed the building, taking inspiration from the cathedral’s barrel-vaulted ceilings, and beautiful façade. Standing at nearly 500-feet tall, and is filled in each part of the construction with luxury amenities sure to attract all kinds of buyers looking for the best lifestyle options close to midtown. Aside from its already impressive features inside, the building is also located perfectly near plenty of restaurants from Ferris to Eleven Madison Park and the NoMad. The space is also located right near Penn Station, offering direct access outside the city for weekends in the country.